As 15 million vehicles head out on to the roads this Easter, TyreSafe, the UK’s not-for-profit tyre safety awareness organisation, is reminding drivers to check their tyres – including pressures - before they set off. As 15 million vehicles head out on to the roads this Easter, TyreSafe, the UK’s not-for-profit tyre safety awareness organisation, is reminding drivers to check their tyres – including pressures – before they set off. Driving with underinflated tyres makes it more difficult to control a vehicle, increases the distance it will take to stop and leaves it more vulnerable to a puncture or rapid deflation. Tyres will also wear more rapidly and, because of the extra effort it takes to turn the wheels, increase the amount of fuel used by the vehicle, adding to holiday costs. Vehicle manufacturers typically provide two recommended pressures – one for normal use with just one or two passengers and another, higher inflation pressure, for use when fully laden. The increase in pressure is important to ensure the correct amount of the tyre’s tread is in contact with the road. However, research proves a substantial proportion of Britain’s motorists are routinely driving with tyres at dangerously low air pressures and do not adjust them when carrying all the family and their belongings. The combination of unusually high weight which comes with these holiday trips along with underinflated tyres dramatically increases the risks of suffering an incident. That means between two million* and five-and-a-half million** vehicles on the road will be taking a chance on dangerously low air pressure in their tyres this weekend. Stuart Jackson, TyreSafe chairman, said: “The results of driving with underinflated tyres not only increase risks for the vehicle’s occupants but also the safety of all other road users around them. Arriving safely should be every driver’s ambition, especially when carrying their family, and by carrying out a few tyre checks in a matter of minutes before setting off, motorists can easily reduce their road risks this Easter and can reduce their motoring costs. 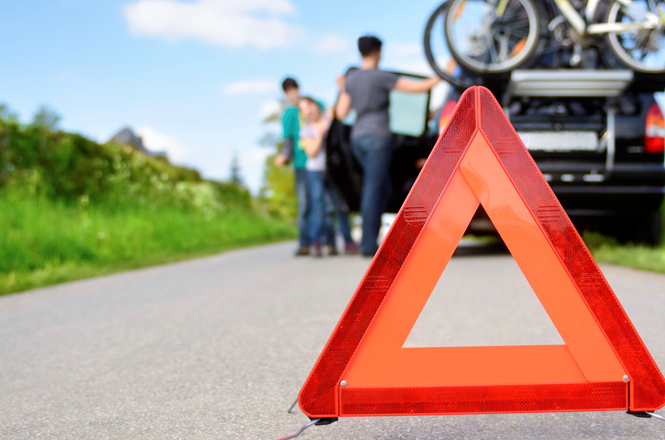 “TyreSafe urges Britain’s motorists to ensure they have an incident free Easter and check their tyres before they travel. A vehicle’s tyre pressures are readily available. The manufacturer’s recommendations can often be found either in the fuel filler cap or in the door shut, but can always be found in the owner’s handbook. TyreSafe also features a tyre pressure checker for cars and a calculator for caravans which are readily available on the move, allowing owners to refer to the results while they are adjusting pressures. Once the correct pressure has been found for the wheel/tyre combination fitted and the load to be carried, motorists should then check their vehicle’s pressure. This should always be done while the tyre is cold (within two miles of departure) and with an accurate pressure gauge. While the pressure is being checked, the driver should also evaluate the tyre’s general condition, ensuring there are no lumps, cuts or other deformities. Tread depth should be above 1.6mm, which can be checked by inserting a 20p in the grooves of the tyre across its width and at several points around its circumference. If the outer rim of the 20-pemce piece is visible at any point, it may be illegal and the help of a tyre professional should be sought.